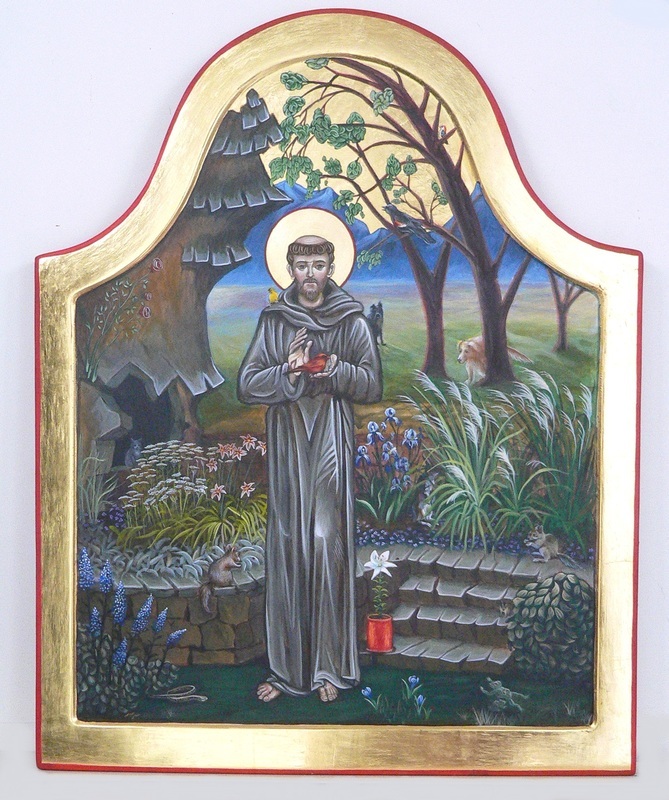 The patron requested St. Francis with elements of plants and animals from his beautiful yard. 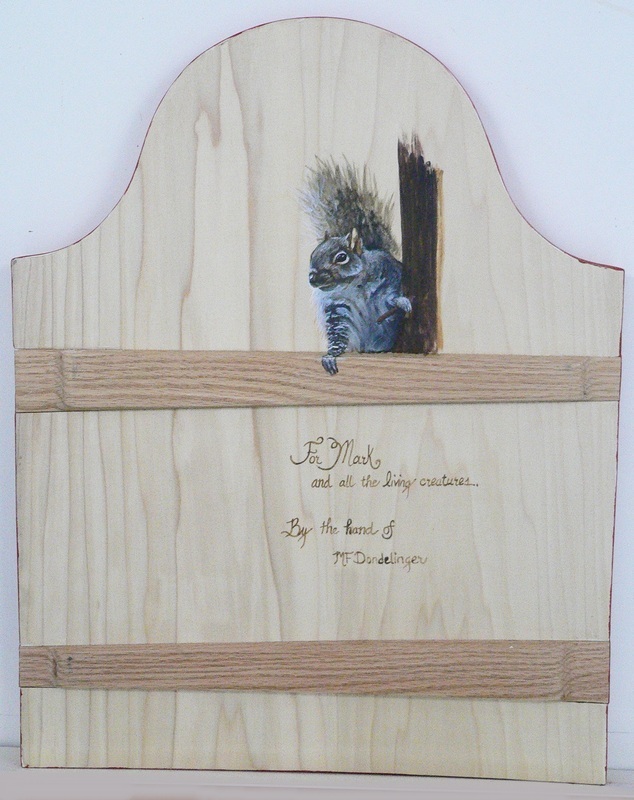 On the back of the panel I put another image of Nosey, one of his regular visitor. See below.